What a whirlwind of a month. No, seriously. So after my Game of Thrones’ 14 Brutal Deaths BuzzFeed post (which has now hit 307,000 views, by the way) went slightly on the viral side, I received an amazing email the next day from the Senior Creative Director at BuzzFeed asking for me to come in and meet the people there. He also mentioned that HBO, the TV network responsible for Game of Thrones, loved my animations. Skip to less than a week later, I was in the BuzzFeed UK office meeting some of the most enthusiastic and influential people, including Head of Creative Services, Melissa Rosenthal (also one of Forbes 30 under 30 2014). Another week after that, I received a very welcomed phone call from the UK Creative Director offering me a fantastic job offer that I really could not refuse. Fast forward to right now and here I am sitting at my new desk tapping away at my MacBook Pro, coming up with new BuzzFeed sponsored posts as BuzzFeed UK’s Creative Designer. There are so many career opportunities, which for someone who is very ambitious, is great to have things to aim for. 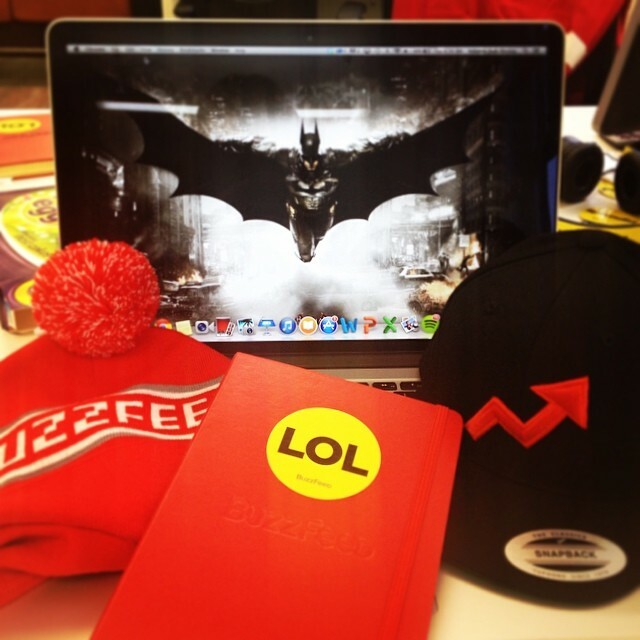 I’m being flown off to New York next week for training at BuzzFeed HQ. And there is so. Much. Free. Food. All of this in less than 4 weeks. It’s amazing to think that this time last year I was in a spiritually crushing job where I was a glorified cleaner / waitress / removal person carrying sofas and breeze blocks up and down flights of stairs and being shouted at for taking too long getting someone’s smoothie. This time 6 weeks ago, I was signing on at the Job Centre being forced to go on courses about ‘how to write a CV’ and ‘how to look for a job’, while being pressured into applying for jobs that I had absolutely no interest in whatsoever. However, during these set backs, I never stopped working on what I loved. No matter how many times I got knocked back by companies saying that I was ‘not experienced enough’, ‘too experienced’ and my personal favourite ‘too creative’, I kept plowing through and making things in every spare bit of time that I had, including Rush Hour App. Simply because I love doing what I do. I’m now working in the most exciting and fastest growing media company doing what I love: creating great content that will make people laugh at, associate with and want to share. 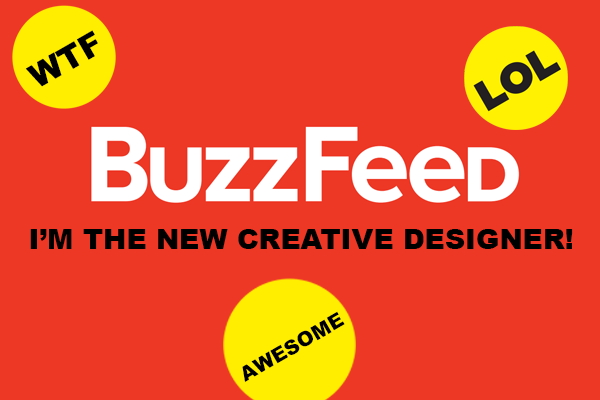 Now, I’m in the right environment with fantastically talented people, where I can build on my skills as a creative and as someone who aspires for a senior role, and can hopefully help BuzzFeed UK blast off like a rocket ship just like BuzzFeed US did. And maybe win a few awards along the way, because that would be really cool as well. It has been a difficult journey to get to this point, but now the hard work really starts and boy, I cannot wait to grab the bull by the horns and see what the future brings. “If You’re Offered a Seat on a Rocket Ship, You Don’t Ask What Seat.